How to connect Database from UFT/QTP ? Know How. improper details. 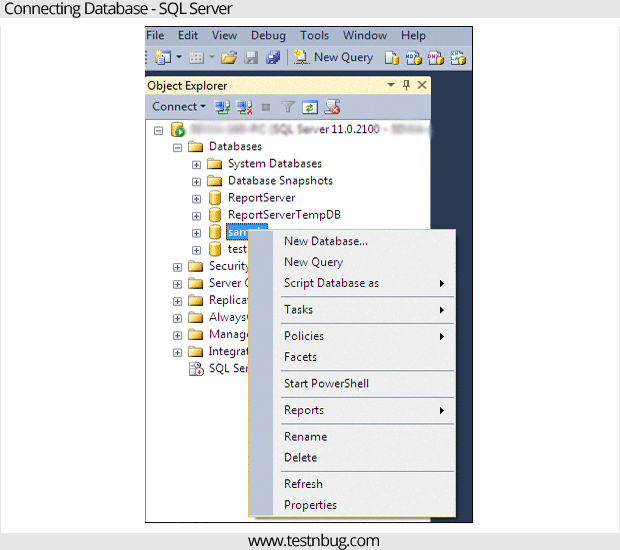 In this post, we will know how to connect to database successfully. objConnection.open "provider=sqloledb;Server=SDWA-160-PC;User Id=SDWA-160; Password=; Database=sample;Trusted_Connection=Yes"
If you observe closely all the 5 steps are covered in the above program. Now, to setup a database connection we will look at each of these steps. 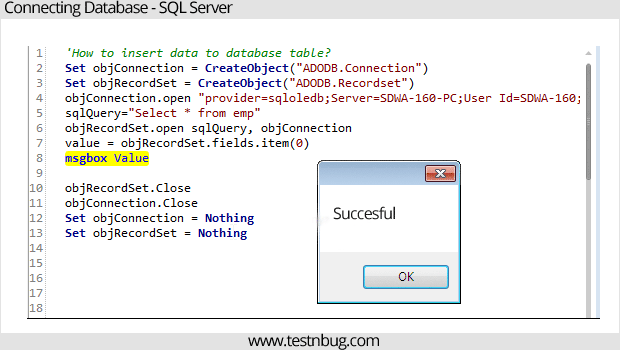 Create an ADODB connection object which is required step for connecting to database as below. Create Recordset object which is for getting a value from database. Authentication using Id, Password and details. 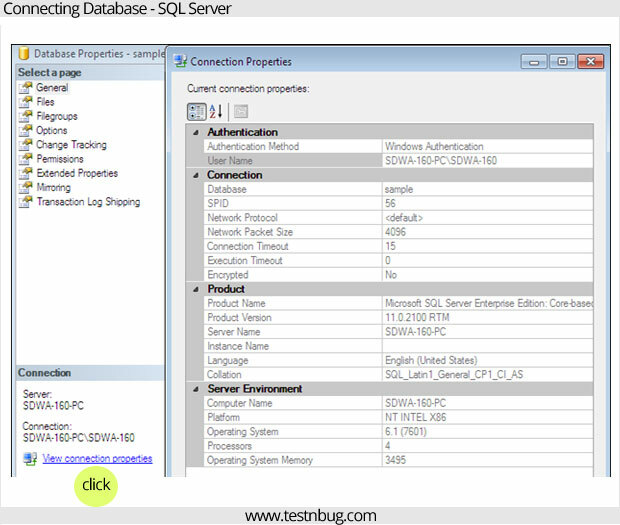 Server: Open the SQL Server in your machine and Right click on the required Database/ click on properties. Hence, Connection setup completed and ready for execution. Enter the required SQL query to be executed. Execution of the query with the statement below. The above mentioned sample script has been executed and the value from the database is retrieved. This is all about the connecting to database in UFT/QTP. If you have any questions or need any clarifications, Please post in the comments section below. How to Run Eclipse IDE Online without installs ? What is SetTo Propetry and GetTo Property in UFT/QTP, GetRo Property? How to Reverse a String without StrReverse Function?